Welcome to Marin House Cleaning! 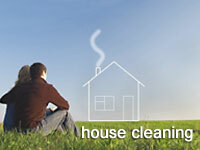 A 100% nontoxic cleaning company serving the residents of Marin County and San Francisco. We are Bay Area Green Business Program certified. housecleaning marin, house cleaning marin, house cleaning s.f., housecleaning san francisco, marin, san francisco, cleaning service, cleaning house san francisco, carpet cleaning, upholstery cleaning, residential cleaning, maid marin, housekeeping marin, clean apartments, carpet cleaning sf, carpet cleaning marin, carpet clean san francisco, carpet clean sf, clean window sf, clean window marin, clean window sf, house cleaning service, house cleaners sf, housecleaning san francisco problems associated with allergens, chemical sensitivities and contaminants, such as mold and bacteria. Increase worker satisfaction, improve morale, reduce absenteeism and increase productivity, efficiency and retention. Benefits of green cleaning programs are well documented. Help reduce the cost to building management and tenants, including costs associated with sick leave and productivity loss. Enhance an organisations reputation and brand equity, because being socially conscious has become a desirable business trait.Green cleaning is one of the easiest and fastest ways for building managers to make their facility healthier and safer for employees, not to mention their contribution to the overall environment. Switching to green cleaning- its easy! 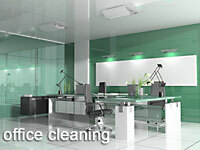 Green Bee Cleaning Services knows you are busy and respects your time. That’s why we make switch to green cleaning as easy as one phone call. Then its business as usual. office cleaning services using cleaning products, equipment and practices that are safe for you, our cleaning staff and the environment. Green Bee Cleaning Services 24 Step Healthy Touch Cleaning System is guaranteed to make your home healthier and cleaner. We cover all areas starting from your kitchen right through to your bedroom. Green Bee Cleaning prides itself on providing a high quality on time window washing, window cleaning, pressure washing and gutter cleaning service for competitive low prices, 365 days a year. It's our guarantee that our work will be done to your specifications. Carpets serve as a major asset to the beauty and splendor of your home. They can literally make the difference between a nice room and a gorgeous one. But, they also hoard high concentrations of dust particles and allergen substances that household vacuum cleaners cannot completely remove. Green Bee Cleaning is the key to maintaining the elegance of your carpets and to ensure that they are clean and fresh.